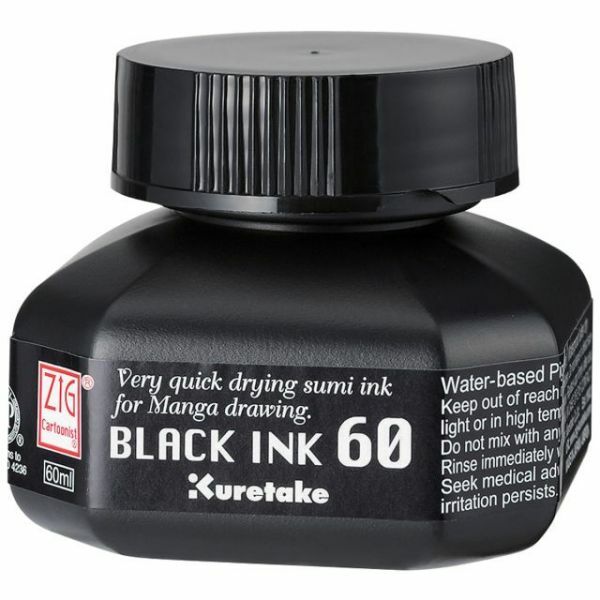 Zig Cartoonist Sumi Pen Ink 60ml - KURETAKE-ZIG Cartoonist Pen Ink 60: Black. Perfect for the manga cartoonist. This package contains one 60 ml bottles of black water- based pigment. Waterproof after it dries. Very quick drying sumi ink, great for Manga drawing. Conforms to ASTM D4236. Imported.